We are very excited to announce an event we will be hosting, on Tuesday, Jan 8th at 7pm. 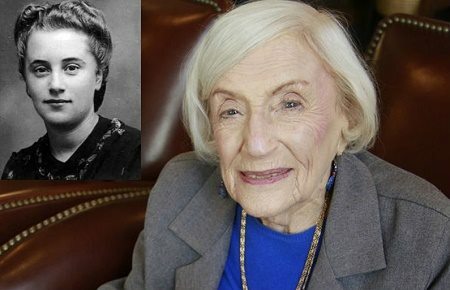 Don't miss this incredible opportunity to hear from and interact with a 98-year-old Holocaust survivor who was also a French spy. Please note: no one will be turned away due to lack of funds, please contact Rabbi Avrohom at 306-351-5949 in complete confidentiality if you can't afford it. Marthe Cohn, was born in Metz, France in 1920. She was a beautiful, young woman living across the German border in France, when Hitler rose to power. As the Nazi occupation escalated, Marthe's sister was sent to Auschwitz while her family fled to the South of France.